Naby Keita has been called up for international duty by Guinea despite his recent injury woes. The Liverpool midfielder has been sidelined since suffering a hamstring injury against Rwanda during last month’s international break. His spell out of action saw him miss three Premier League games as well as the 4-0 win at home to Red Star Belgrade in the Champions League. 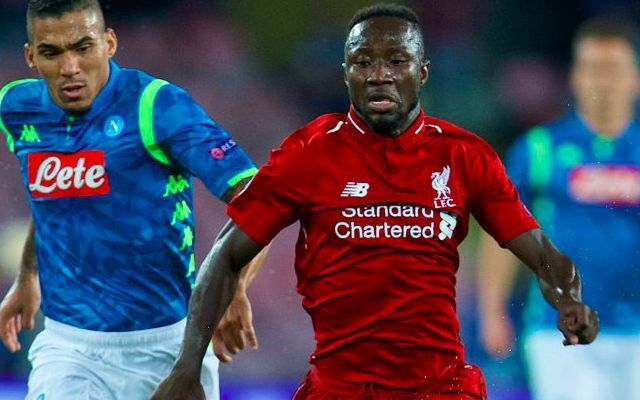 Keita made his return to the squad for Tuesday’s away clash with the Serbian club but remained an unused substitute on what proved a torrid evening for the Reds. The summer signing has now been named in the Guinea squad to face the Ivory Coast in their upcoming African Cup of Nations qualifier, reports ESPN’s Glenn Price. The international break has grown to be an infamously nervy period for the Reds, with Keita one of four players to return to Melwood with an injury in October. Mohamed Salah kicked off a frustrating week when he sustained a muscle problem whilst helping Egypt to a 4-1 win over Swaziland. This was followed by Virgil van Dijk aggravating his previous rib injury with the Netherlands and Sadio Mane breaking his thumb whilst away with Senegal. Adam Lallana has only recently returned to full fitness after withdrawing from the England squad with a groin injury at the beginning of September. Jurgen Klopp recently confirmed Keita would be available for selection when Liverpool resume their Premier League season at home to Fulham on Sunday. In another welcomed boost, captain Jordan Henderson could also make his comeback after shaking off the hamstring injury he picked up in the 1-0 win over Huddersfield.